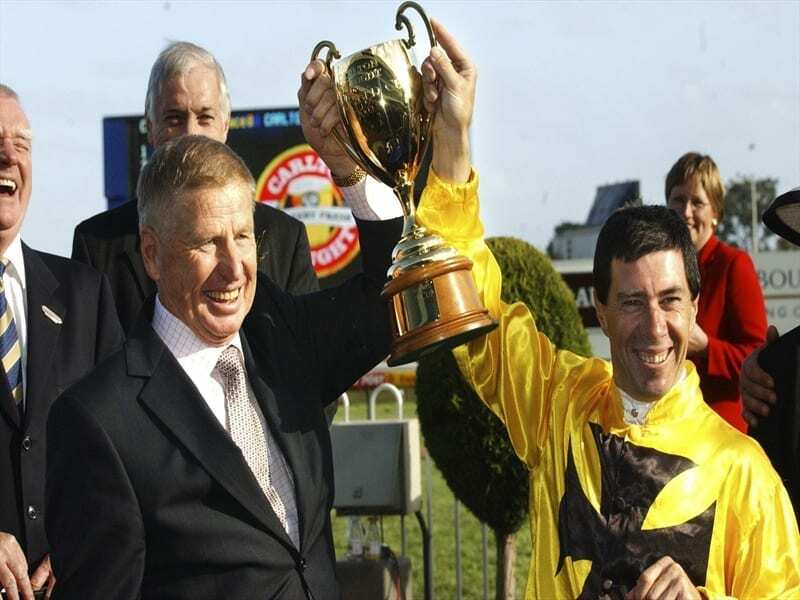 Jordan Childs is hoping to emulate his father Greg (right) by winning the Caulfield Cup. Jordan Childs may have been too young to remember much of champion Northerly’s fighting Caulfield Cup win in 2002. “That’s probably one of my earlier memories of Dad winning a bigger race,” Childs said. Sound Check makes his Australian debut in Saturday’s $5 million race. “I rode him on Tuesday morning at Flemington on the course proper and he’s a really nice type of horse,” Childs said. Childs’ preparation for his first Caulfield Cup ride has included watching replays of Sound Check’s German performances. “I’ve had a look at a couple of his replays and he looks like he actually has a turn of foot which I think will suit Australian racing,” Childs said.